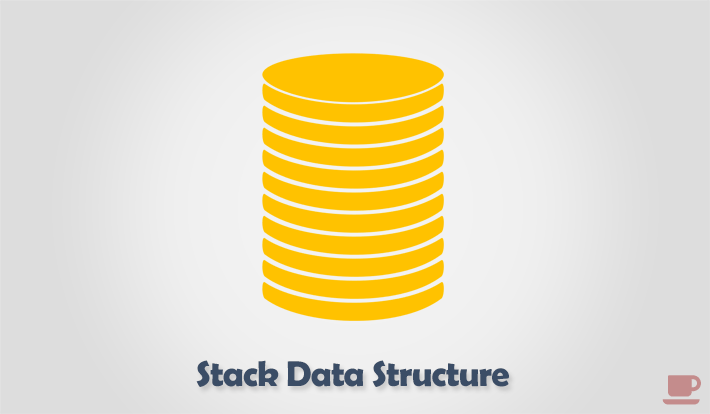 In my previous post, I covered how to implement stack data structure using array in C language. Here, in this post we will learn about stack implementation using linked list in C language. We also learn to perform basic stack operations with linked list implementation. In this post I will explain how to perform basic operation on stack using linked list. Following are the basic operations performed on stack. Before we perform any operation on stack, we must define its node structure. Insertion of new element to stack is known as push operation in stack. We can push elements at top of stack. Step by step descriptive logic to push elements in stack. Check stack overflow, i.e. if (size >= CAPACITY), then print "Stack overflow" error message. Otherwise move to below step. Create a new stack node using dynamic memory allocation i.e. struct stack * newNode = (struct stack *) malloc(sizeof(struct stack));. Assign data to the newly created node using newNode->data = data;. Link new node with the current stack top most element. Say newNode->next = top; and increment size count by 1. Finally make sure the top of stack should always be the new node i.e. top = newNode;. Removal of top most element from stack is known as pop operation in stack. Step by step descriptive logic to pop elements from stack. If size <= 0 then throw "Stack is Empty" error, otherwise move to below step. Assign the top most element reference to some temporary variable, say struct stack *topNode = top;. Similarly copy data of stack top element to some variable say int data = top->data;. Make second element of stack as top element i.e. top = top->next;. Delete the top most element from memory using free(topNode);. Decrement stack size by one and return data. Note: You can directly find size of stack using the size variable. It will always contains the current size of stack. * Stack implementation using linked list in C language.